Monday evenings 7.30pm - 9.30pm. Hosted by Graham Lavender ably assisted by his Producer. The music featured on the show comes from all over the world and aims to cover all the different aspects of rock, from A.O.R. and metal to blues and hard rock. All eras are included from the mid 60s to new music from heritage acts that are still active and producing new music plus current releases which are stylistically consistent with the programme's range. Usually, 3 new tracks are featured on every show including 1 from a known act which is played together with an older track on the "That Was Then But This Is Now" segment. 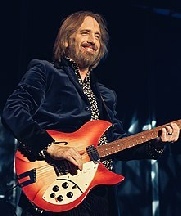 The most requested acts include Queen, E.L.O, Judas Priest, Iron Maiden, The Doobie Brothers, Bob Seger, Asia, Journey, Def Leppard, Foreigner, Guns N'Roses, Bruce Springsteen and David Bowie while acts which began in the 60s such as The Kinks, The Rolling Stones, Creedence Clearwater Revival and Status Quo all receive regular airplay. The show is always on the look out for new music from up and coming acts to bring to its listeners' attention and is happy to receive tracks for consideration at any time.